Note:This procedure is not used in Brazil. Remove the rocker arms. Refer toValve Rocker Arm Replacement - Right Side.Remove the starter motor. Refer toStarter Replacement. Note:If the EN-46106 -tool-is not installed, the crankshaft may rotate. 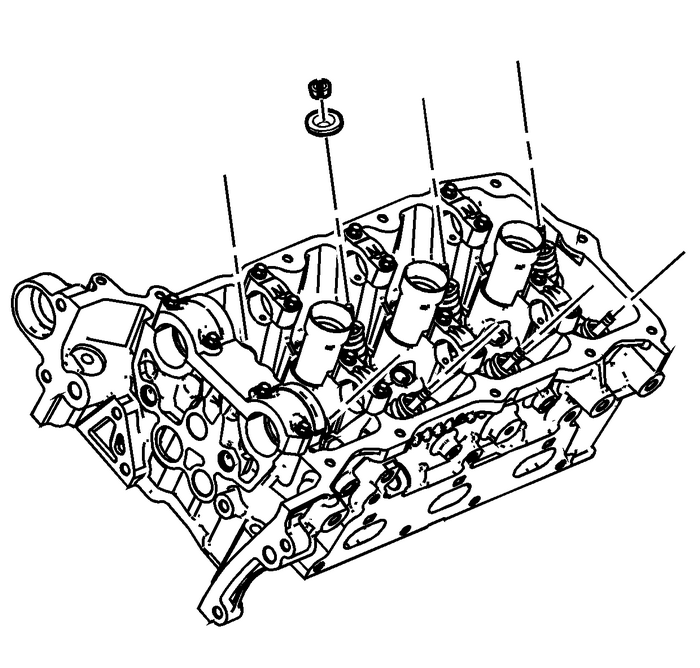 If the crankshaft rotates, disassemblyand reassembly of the entire camshaft timing system may be required. 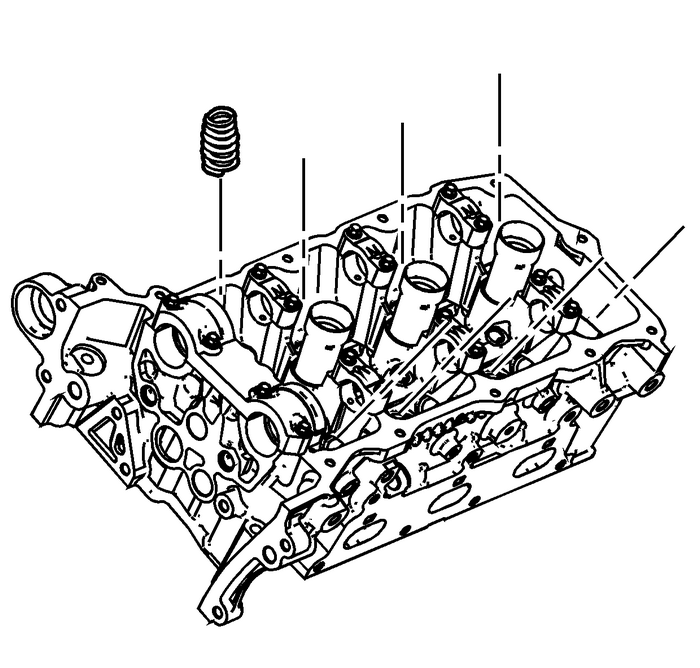 Install the EN-46106 -tool-in order to prevent crankshaft rotation.Remove the spark plug from the applicable cylinder. Refer toSpark Plug Replacement.Install the EN-39313 -adapter-to the applicable cylinder.Connect the EN-39313 -adapter-to a compressed air source. Install the EN-46110 -compressor-above the applicable cylinder as shown.Tighten the EN-46110 -compressor-nut-(2). Remove the valve keepers.Loosen the EN-46110 -compressor-nut.Remove the valve spring retainer. 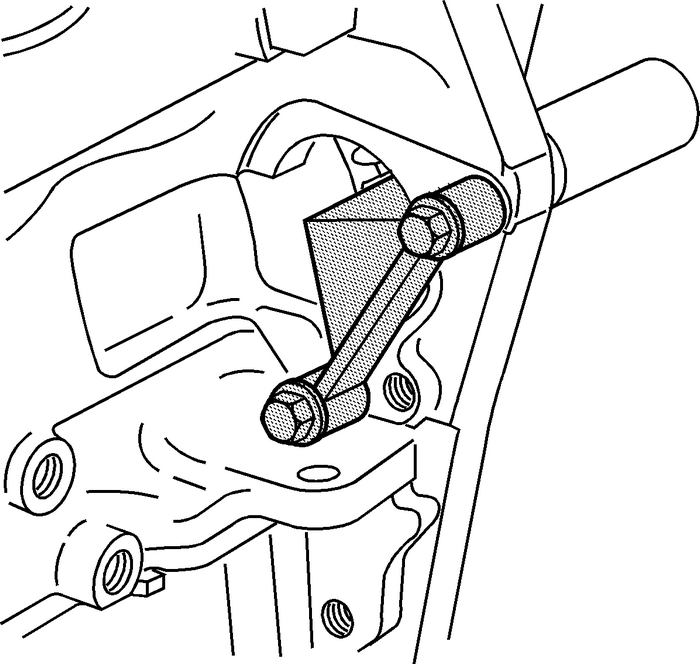 Use the EN-46116 -remover/installer-(1) in order to install the valve stem seals-(2). Install the valve spring.Install the valve spring retainer. 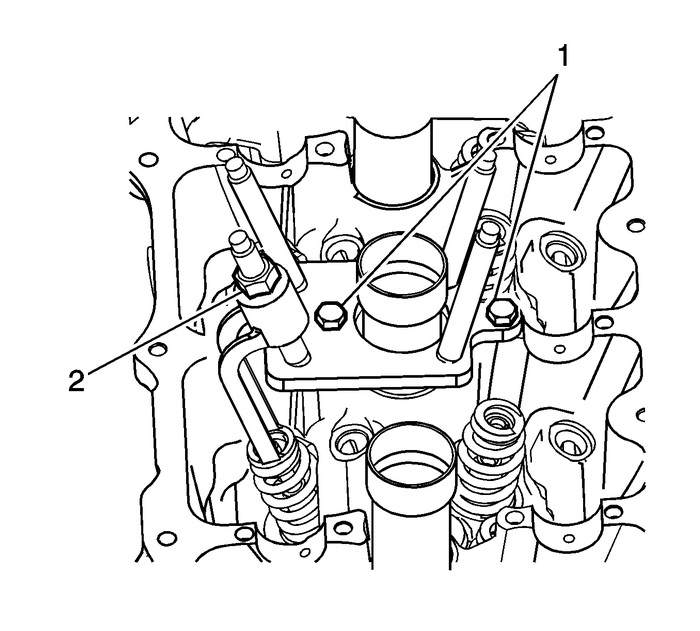 Install the EN-46110 -compressor-above the applicable valve spring as shown. Install the valve spring keepers.Remove the EN-46110 -compressor.Disconnect the EN-39313 -adapter-from the compressed air source.Remove the EN-39313 -adapter.Install the spark plugs. 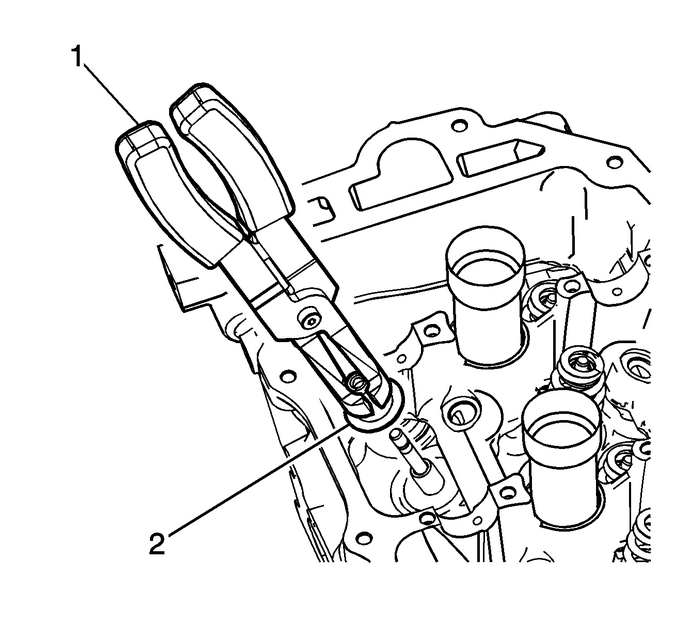 Refer toSpark Plug Replacement.Install the rocker arms . Refer toValve Rocker Arm Replacement - Right Side.Remove the EN-46106 -tool.Install the starter motor. Refer toStarter Replacement.